From our track days at Val de Vienne from 26th – 29th of March it is possible to test the all new Ducati Panigale V4 S and the new Panigale 959 Corse yourself ! Exclusively at Track days4all ! 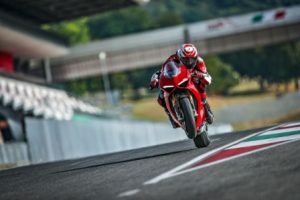 We are the first who will get the all new spectacular Ducati Panigale V4 S and Panigale 959 Corse and you can make a test ride on the track for free at all the events of Trackdays4all. Pay attention: you’ll have to pay a deposit of 1.000,- Euros for possible crashes or damaging the motor bike. 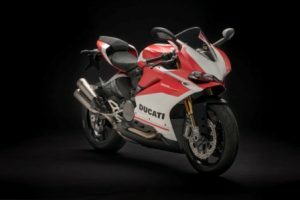 How to book the Panigale Experience? Very simple; book one of our track days and mention in the field ‘remarks’ Testride Panigale 959 or V4. Please pay attention; the testrides are limited and ‘first comes, first goes !